Big Birthday Wishes are headed your way today! We can never have too many birthday cards I always say. This fun card came together with the help of some brand new Hampton products: wood stamp &amp; decorative tag. This particular tag comes in white and cream as well, but I chose the black for contrast. 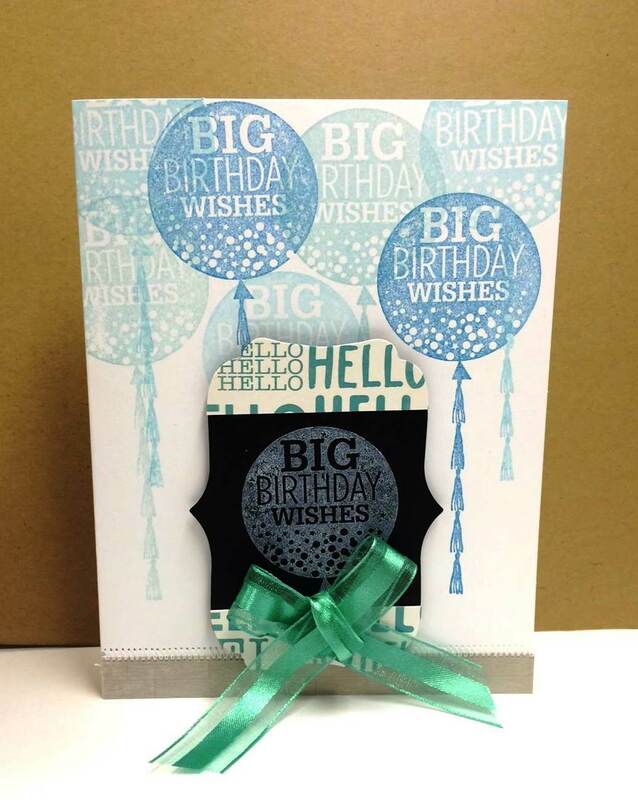 This one began with the black decorative tag, I stamped in white pigment ink the Birthday wishes stamp. Next I stamped directly onto the card base the same image repeated six times in three coordinating colors (2 of each). I love the tone on tone effect of the colors. The bottom needed stabilized so I added the gray border strip wit stitching as shown. Next step was to add the “Hello” paper to the top and the bottom of the decorative tag just by using it as a template. 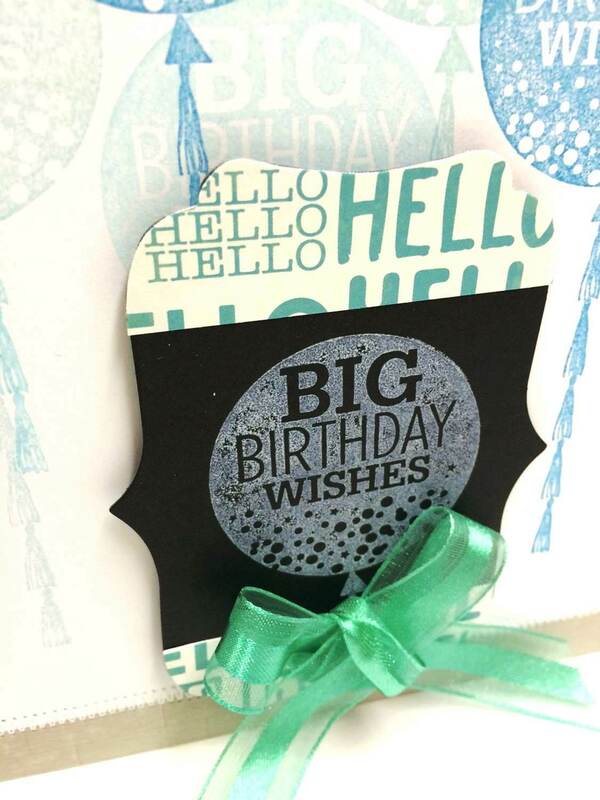 Then I added the tag to the card front with 3D foam dots for a little pop, last I added the sheer aqua ribbon bow. A fun Birthday card suitable for all ages, don’t you think? You simply must check out all the new stamps Hampton Art has added, they do not disappoint!